Two tea single packets are also included. Words of Comfort Sympathy Gift Basket arrives fully assembled and ready to give. It's wrapped in a clear cellophane bag and topped with a bow then bubble wrapped and shipped in a box to the recipient. Ship to a funeral home or the home address. Send sympathy gift baskets to express your deepest sympathy. 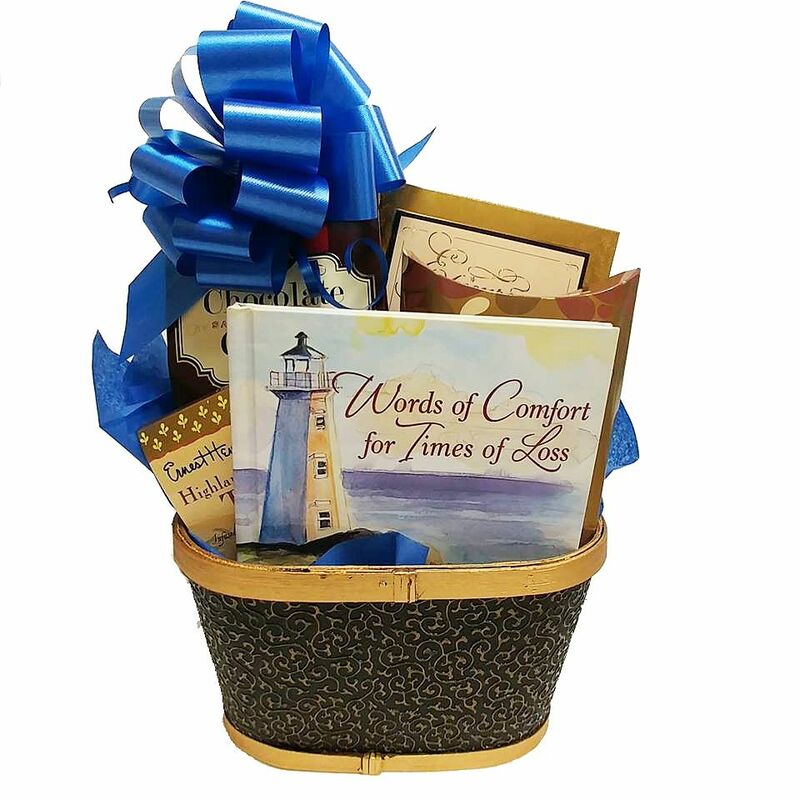 Sympathy gift baskets include books with words of comfort for grieving. A thoughtful bereavement gift. Gourmet gifts and caring books the perfect combination to send condolences in a sympathy gift basket. Shipped nationwide for funeral gift basket or to home.